Dr McCarthy qualified from Leeds Medical School in 1997. Prior to studying medicine he qualified as a pharmacist from Bradford University. 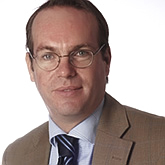 Dr McCarthy is interested in all aspects of family medicine and holds a postgraduate diploma in dermatology.